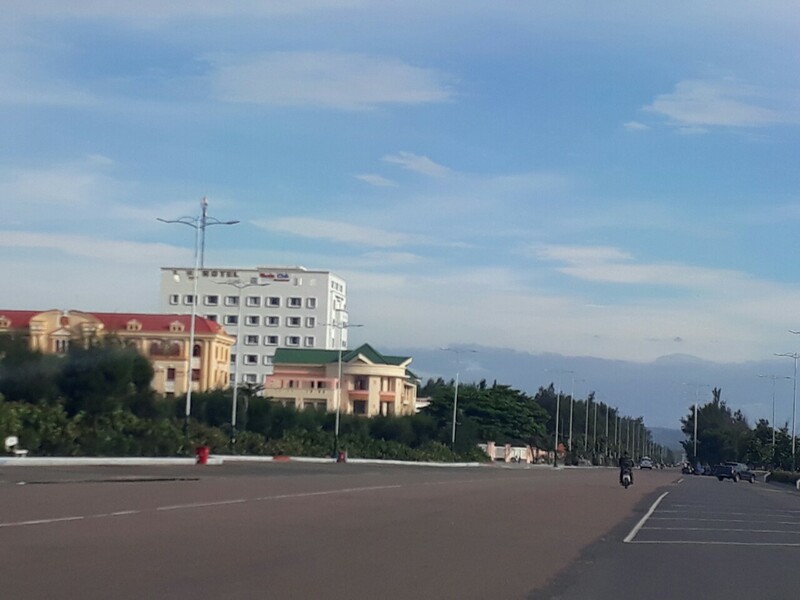 Phu Yen welcomes me and my consort with the most beautiful weather during the past several months. It is about 26 degree Celsius – cool and comfortable after the bad effect of typhoon No. 4. Mat Kien said to me that it was too hot some days ago. It reached 36 degree Celsius. His words makes us much more cherish the nice weather at present. I have recalled somebody who was enjoying a sunny day but still blamed that: “Your love is as little as the sunshine in autumn or winter/ it stays in this world for a few days” Alas! The more the sunny days are, the more you enjoy them. Why did they think so much? If they know that the sunshine in autumn or in winter is little and rare, why do not they enjoy them when it comes? Likewise, in every relationship, especially in love, why do they forget the present? They insist on thinking about the far future. They should cherish each other in every moment at present. In the same way, in the Guru-disciples relationship, you should respect each other more deeply in order to avoid from losing such precious relationship on a rainy cold winter day. Therefore, if you do not understand the true value of present, you dwell in the past, dream of the future, how can you concentrate the mind on the present moment as the Buddha’s teaching? 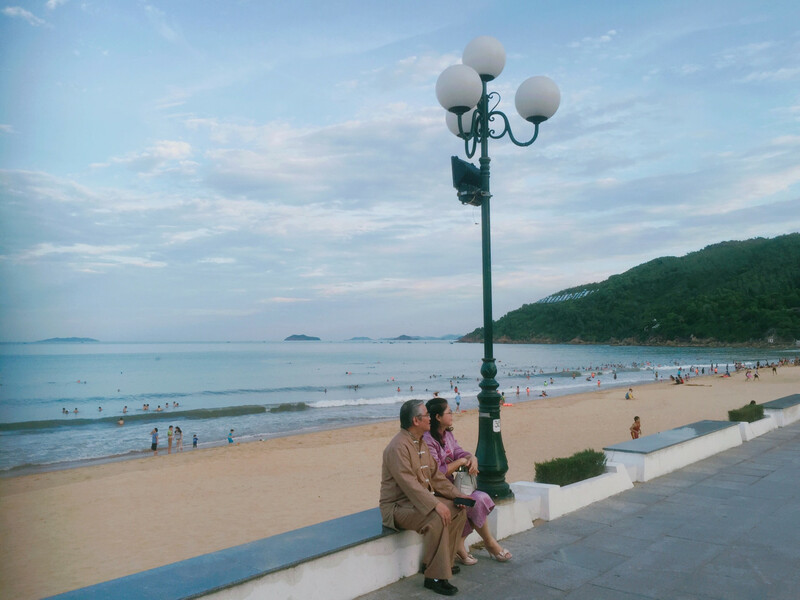 Thanks to the beautiful and cool weather in Tuy Hoa city – the capital of Phu Yen, the people like getting dressed up to go out for a walk. Compared to three years ago, the youth and the middle-aged people are now much more stylish. It is my own view of point only. 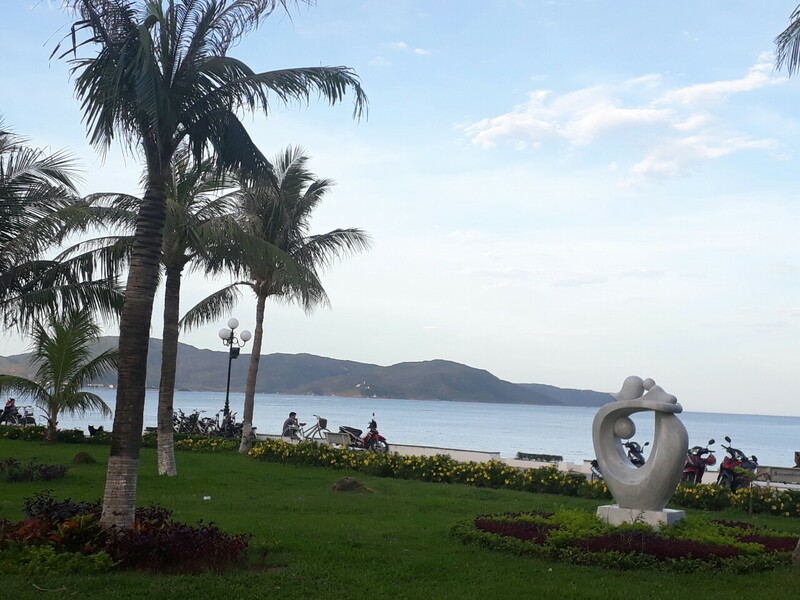 In addition, the meaning of this province’s name “PHU YEN” is “peace to wealth”. I will give the argument to prove the meaning of PHU YEN. Provided that the sound of gunfire and explosions rang out, the sky was filled with bombs, can Phu Yen be wealthy now? So do nation-wide. There is no doubt that no one like listening to the word “war”. In the Buddha’s time, the Lord Buddha wanted to protect the peace, he prevented the two big countries from the catastrophic war while they were going to start a fight for the possession of a river. Cycling in the early morning. Nevertheless, is peace easy for anyone or any countries to get? I do not discuss anything relating to the government or the public affairs of a country. I would like to pay attention to the peace in mind for Buddhist practitioners. It is not easy to pacify the mind. In order to get the peace in mind, Dazu Huike had spent a lot of years on practicing the teaching of his master Bodhidharma. He later on was passed on the symbolic robe and bowl of dharma succession by Bodhidharma, and became the second Patriarch. Then he lived in a secular life, he did not stay in any temples, nor did he build any monasteries to live in, he worked as a porters in the port. 1/ Mantra is the spiritual achievement of the Four-Armed Avalokiteshvara. He created it from the great samsadhi after he had spent three asankhyeya kalpas in his progress towards Buddhahood. We only need to learn the method to practice this mantra. 2/ Bodhichitta is the core of Mahayaha taught by the Buddha and Saints after they had got the achievement in their long process to help all sentient beings for countless eons. We now only need to learn how to practice developing Bodhichitta. 3/ Uninterrupted offerings was taught in the Avatamsaka Sutra by the Lord Buddha after he had experienced for three asankhyeya kalpas to discover it, we only learn how to apply. It is to use the result as the path. 4/Samayagdrsti-Prabha Samadhi was achieved by the Lord Buddha after his experiencing cultivation for three asankhyeya kalpas. We follow his guidance to cultivate our actions of body, speech and mind on the right track of the Path. We do not need to spend much time and not have to undergo great hardships as the Lord Buddha did. It is to use the result as the path. 5/ Taking refuge is the foundation to get enlightenment. We are allowed to take refuge in the three Jewels then we can keep the precepts (whereas the externalists do not have any precepts but only commandments and prohibitions). 6/ Tantric Saints made a Yidam practice as a way to practice both object focused meditation and visualization meditation, so that they accumulated quickly merit and wisdom, leading to enlightenment. We do not need to take risk and discover it with big efforts, we only use the result as the path, like use the means as the end. A tourist with a peaceful appearance. For all methods, you have known or you have received the proper transmission from me or you are allowed to unofficially practice before empowerment by me. I am sure that you have not pacified your mind. Fortunately, though we have not pacified the mind due to the storm in our mind, we are in the orbit of peaceful mind because we have been connecting with the pure energy of Yidam through practicing 6 above spiritual methods, which I have discovered in my long progress towards Buddhahood. Above I have clarified 6 methods based on the Buddhist grounds. Thus, you should enjoy life with balanced mind and you should understand that although our mind has not been pacified, we should be at ease on the path to enlightenment because we are on the right track to the city of Liberation in accordance with the Dharma. May all sentient beings be awaken in the enlightened state. Original Vietnamese version: Thư gửi các trò 219: YÊN ĐỂ MÀ GIÀU, AN ĐỂ MÀ TỊNH! i thank you for your teaching. I feel blessed that through your words you show respect to all your pupils throughout the world. Your great work placing your articles on line allows those of us, outside on Vietnam, to hear your words and have fellowship with our buddhist family. I thank you and show you the respect of my thoughts, practice and love. Please continue to remind me that I am privileged to be born where I have access to your teachings and can understand them through translation. I am grateful and must enjoy this moment, not to worry about what is past or what is to come. I also find great delight in my meditation especially in finding peace in my mind. I have been a firefighter for 28 years and have seen many things. Meditation is bringing me peace and tranquility. I continue to learn and find guidance through your words Holy Guru. Please continue to instruct me so that my mind may be peaceful in the present and my actions continue to reduce the suffering in all sentient beings. May the holy Guru have good health and live long for the benefit of all sentient beings. May all sentient beings achieve the happiness of Buddha ‘s nature. I have read this article. It is a very interesting one. Thank you so much. May the Guru live long for the sake of all beings. May all beings achieve the happiness of Buddha’s nature. I allway’s Would like to practice the yadam but onfortunately I don’t have enethietio to do so, so I would like to ask you cindly what I need to do to be able to practice. Please see comments sent by gmail separately to Guruji’s website. When mind is not wavering and kept balanced by meditation (PEACE), Dharma practicioner get rich in the power to Enlightenment (WEALTH) ! Taking refuge in the Triple Gem is the foundation to get Enlightenment. Past is gone.Future is not yet born or uncertain ! So don’t waste the precious Present time and enjoy Life with in the orbit of Dharma. Opportunities come rare ! We have to make use of the present opportunity in Guru-disciple relationship also and derive the benefits of his Dharma teachings. The pictures shown in this article exemplifies Guruji’s wishes to share the joy with us through those pictures !. This is an indirect suggestion by Guruji to spend most of our time in such natural serene beautiful scenerio gardens to keep our physical and mental health to carry out our daily Dharma practices. No man likes to hear the sounds of bombs and witness wars !. In fact, Buddha was against the wars and quarrels. Incidentally an event in the life of Buddha is of much significance and worth mentioning in this context.we know Buddha in his royal procession saw a sick man, an old age person, a dead body and a monk. These four sights perturbed him very much and pondered over human suffering and left to forest in search of the cause of human suffering and it’s remidy. There was a water dispute and frequent quarrels in the use of water flowing in the river which was flowing in the border of his kingdom and another koli kingdom which is adjoining.Buddha tried his best to counsel people of both sides to establish peace and harmony among them and to prevent quarrels over such trivial matters , but all in vain..In the meantime, the people of Buddha,s (Siddhartha )kingdom passed a hard and fast rule against the neighboring koli kingdom and every body should follow it. Whoever brakes this rule should go on exile ! Buddha,s compassion and loving kindness didn’t allow him to accept that rule and so he volunteerily left the kingdom and went to the forest. ! What ever may be the real reason, his discovery of 4-Noble Truths is a great boon to the Mankind. What ever may be the Truth, it is a means to the discovery of 4-Noble Truths ( PEACE & WEALTH). By this way the wise make peace, good doings, win Violence ! Another note worthy point in this letter,Guruji mentioned about Day Hike,a Dharma practitioner and a disciple of the great Master Bodhi Dharma.After serving his Master for several years he lived a secluded life by working as a Porter in the Port with out building temples or monasteries or even a house for himself to live in.! This is a beautiful example for simple living and high thinking of a Dharma practitioner to get Bodhichitta.(wisdom). Buddha, after his long strenuous efforts and experience got the result(wisdom). We need not get into such difficulties. Only thing we have to apply Bodhichitta(wisdom) and use the “result as the Path) , and to Use the means as the end . And need to Practice to develop Bodhichitta. Long Live our Guruji for upholding Dharma. Con hoan hỉ thiện hạnh của đạo huynh Mật Diệu Hằng đã dịch sang tiếng Anh bài Thầy: “Yên để mà giàu, an để mà tịnh”. Con nguyện cho tất cả chúng sanh thành tựu hạnh phúc phật tánh. Thank for the article, although still not ready understand. Thank you for the wonderful article.Ever since human beings evolved we have been hearing about the concept of time.On a higher level perspective can’t we consider even time as an illusion.It is an entity used to measure human dreams, achievements, expectations etc.The truth is that past is history and future is a mystery. Only time available is now and that is why it’s called as a present. One who does not live in the present is actually not living.Time is one of the greatest illusion and at the same time greatest teacher. Con cảm tạ ơn Thầy đã cho con đọc bài viết tuyệt vời này ạ.
Từ khi sinh ra và lớn lên, con người đã quen với khái niệm về thời gian. Dù đứng trên góc nhìn với trình độ cao hơn thì con người không thể xem thời gian như ảo ảnh. Thời gian như một phương tiện để đo lường ước mơ, sự thành đạt, sự mong chờ… của con người. Đúng là quá khứ đã đi qua, tương lai thì chưa đến, chưa thể biết điều gì sẽ xảy ra trong tương lai. Chỉ có hiện tại mới thực sự hiện hữu và đó cũng là lý do tại sao hiện tại được xem như một món quà dành cho con người. Nếu con người không biết hân thưởng phút giây trong hiện tại thì họ chưa thực sự là đang sống. Thời gian giúp con người có được nhiều bài học ý nghĩa. 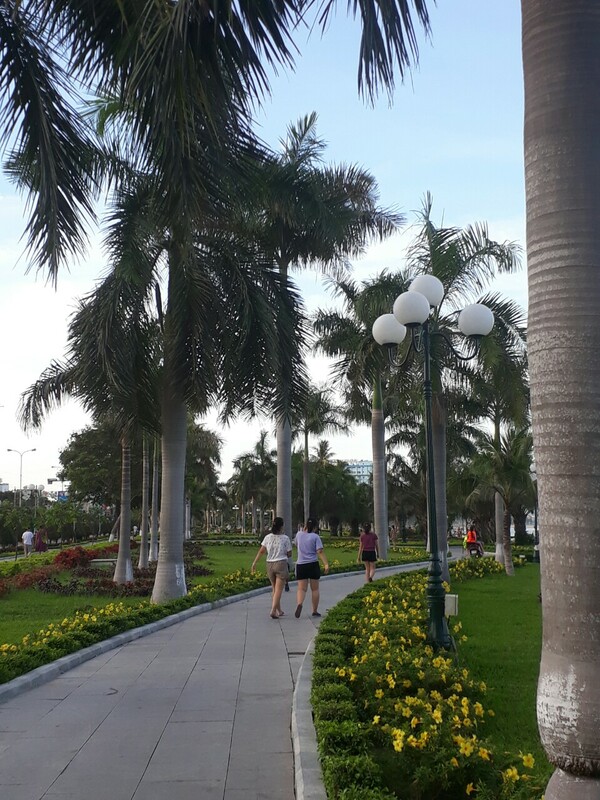 Con cầu nguyện Thầy trụ thế lâu dài. I have read this article. Thank you so much for sharing such an interesting article. I understand that by reading articles on chanhtuduy.com, my mind can be peaceful. And later on I can get the pure mind if I connect continuously with the Guru. May Guru and your consort have a good health and live long for the sake of all sentient beings. Con đã đọc bài viết này rồi ạ. Con cảm tạ ơn Thầy đã cho con đọc bài viết ý nghĩa và lợi lạc. Sau khi đọc bài, con hiểu rằng bằng cách đọc bài trên chanhtuduy.com, con sẽ được bình an. Và nếu con thường xuyên được kết nối với Thầy thì tâm con sẽ dần dần được thanh tịnh. Con cầu nguyện Thầy và người phối ngẫu tâm linh của Thầy mạnh khỏe và trụ thế lâu dài vì sự lợi lạc của tất cả chúng sanh. Wow are your photos beautiful. Thank you for sharing them and sharing this article. I love listening to the words you write. The teachings you share are powerful. Being and living in now is wonderful. I am learning this a little more each day. Being present can be very difficult in a fast paced world. I must learn to block out all of the noise of the world and listen to the crickets sing. I find myself hearing and seeing the world move slowly when no one pays attention and I love it. I notice things that others do not, they are too sped up to see or hear or smell the wonders of the world. I point out the small things and breathe in the moment. I’m not sure if this applies to this article but as I have mentioned, I have mental illness. My children have inherited this from me. My son, though he is an adult now and thriving, he had a rough child hood. My so was teased and very depressed as a very young boy. SO I taught him from the home. This took away a lot of pressure from him. To encourage a healthy life style we would go on walks and during that time we would have meaningful talks. On one of our walks we were stopped to smell one of the residents flowers that were close to their gate. We did this every single day. we would literally stop and smell the flowers. While we were doing this, my son looked at me and asked, “why do we have mental illness?” I told him that we were the chosen ones. Now, Keep in mind he was only 7 or 8 years of age. I told him we were the chosen ones and we were lucky to have this illness. He asked why. I told him because the world is full of busy people. People that live their lives in a hurry and are not inflicted with this illness, often do not stop to smell the flowers. They do not understand that the flowers are even there. They do not take pleasure in them. They do not smell the sweet fragrance the do not see the bumble bees landing on their petals gathering nectar to polinate and regrow these flowers again. They do not see the wonders of the world. We are lucky because we DO see these things, we appreciate these things and when things are bad we can go back and remember these things. hold on to them to remind us that nothing is permanent and that the bees will fly again and the roses will bloom again all so that we can walk by and see them, smell them touch their soft petals. He thought for a moment and understood. He has returned to this story in times of trouble. He remembers my words all of these years later and this has helped him through some of the darkest times of his life. This is much like being present in the moment to me. This is very important. Enjoying and living in this moment and making the best of this moment is what gets us through. Yes i do it because of my mental illness but I am learning every day to appreciate and accept things as they are at the moment. Thank you for teaching me. May all sentient beings be blessed and peaceful. May you be well and blessed for your sake and the sake of all sentient beings. I am thankful to our Guru for this nicely written letter in a beautiful lucid manner, pregnant with deep meaning and spiritual import. In fact for a couple of days I remain disturbed because of failure to complete the comment of the previous letter, sent by my friend, as the next part of it was deleted from the comment box when it was near it’s completion. Guru had been kind enough to console me and so did my friend Rose. But a mundane ignorant creature like me lives either in the past or future, brooding and lamenting on the failure as he is never satisfied with what he has achieved or done in the past. Every morning I tried to reconcile and reconstruct the lost comment, but in vain. However, time is a great healer. As per routine I went on morning walk to the nearby railway station where a lot of people walk regularly. The fresh, cool mild morning breeze coming through plants, flowers and barley farm was spreading the soothing fragrance causing freshening effect on the mind and body. The orange rays of the rising sun, spreading spiritual warmth in the atmosphere was melting the glacier of my mental plight, of which I was suffering for last two days because of my failure. The kind and sweet words of my friend and consoling words of my Guru were causing healing effect and I was, slowly but stealthily, coming to my normal mood. Our holy Guru has harped on the human psychology and says that man is not contented with what he is having. He wants more and more. This craving makes discontented as knowing it well that things are transitory in this mundane existence. He wants more and more pleasure for maximum duration. This hunger of enjoyment is the worst diseases. He is of the opinion, “From lust, affection and pleasure gives birth to grief and fear.” It compels us to be an escapist. One starts living either in past, Remembering his pleasure enjoyed earlier, or in future, imagining he will be enjoying it again in the times to come. This makes one unrealistic as well as it culminates in dis content and grief, if it is not realized. The Buddha has categorically asked to be satisfied with what one is having as contentment is the best riches. Guru has always warned against the escapist attitude. He again and again reminds us to live in the present, neither past nor present, because both are unrealistic. Time is a threefold present. Past is the present memory, present is present experience and future is the present expectation. Since both, past and present, are nonexistent, one must be glued to the present neither to the past nor to the present. And one should be contended with what he is having. One should leave in present as this gives meaning to our life and human relationship. So is the case with the love and affection of the Guru. Guru-disciple relationship too must be in present. This will give birth to mutual respect and trust, as well as deft in the relationship. In turn it avoids the fear of losing this relationship like the pleasure of rainy, cold and winter days. Living in the present helps one to be happy and contented, as well as concentrate one’s mind on the Buddha’s teaching too. By your grace and pious thoughts of my friend, for me, I could overcome of my agony and mental brooding. I am free of my delusion and doubts as well as physical inertia. I submitted the rest of my comment that were deleted. Though, I could not recreate the original one as the momentary stream of thought never comes back. Since, one cannot bath in the same river twice, in the same way one cannot reproduce the same thoughts twice. My thoughts are also not static. Hence I thought it proper to complete the comments of letter No. 219 that was left undone, due to restrain and constrain of time and the existing situation. Revered Guru, I am thankful to you for being kind enough for sending this letter to me as it leads one to clear the mist of one’s ignorance through pointing out that man can mend his fate through his own efforts as the wrong world view (Mithya dristy) creates suffering in the worldly existence. Taking this end in view our Guru has given a big blow on the two points, 1. The Concept of time. 2. The notion of the Ego and the war. As I have mentioned earlier, that Time is the continuous flow of moments. Herein past and the future are interconnected through the present. Guru has advised to avoid the two extremes (Past and future) and to live a balanced life in the present only because leaning on any of the two will destabilize the the normal way of life, hinder the prosperity and obstruct the positive thinking. And so is with the relationship of the Guru and the disciple. If it is in the present, it will grow properly, get strength regularly and spread its fragrance in such a way that both may cherish its divine pleasure here and hereafter. It is a fact that no one want war every one want peace. But despite that there are conflict, war and war like situation all over the world. The reason is simple. We have gone intolerant because of the unspecified mind. Guru has said that the mind is the fountain head of all the good and bad action. A man of uncontrolled mind and senses takes away his discrimination as the wind carries away the boat, floating on the water, where ever it likes. The internal ego of a man becomes instrumental in flaming the passion, anger and hatred, which culminates in conflict. If it is not pacified it takes a violent turn giving birth to battle and war, conflict and feud. For Buddha and Buddhism people resort to violence or war on account of passion, selfish desire, gallantry, ego and ignorance, consequently they reap the results of their evil deeds here and here after. Guru has indicated that how on account of ego and ignorance the Shakya and Koliya, who were blood relatives, were to fight for the water of a river. The solders from both the sides were face to face for fighting the battle. Buddha averted the dispute by making both realize that on account of ego and ignorance both are resorting to violence wherein blood shed is inevitable resulting in the loss of many lives. He asked the both the opponents which one is more costly, Water or Blood. Both replied blood. Then he said why on account water you both are in mood to shed the blood, which will result in death of many innocent solders and decay of the property. He is of the opinion that real gallantry lies in achieving victory over and one’s own ego and ignorance, passion and desire. Guru has rightly asked to win one’s ego and self. For Buddha the real victor is he who conquers his single self not he who defeats thousands of soldiers in the battlefield. Since the self is the lord of self, a person of subdued self remains peaceful at every stage of life. The self-controlled man attains placidity of mind. With attainment of such placidity all sorrow comes to an end, mind becomes tranquil intellect withdraws itself from all sides and mind becomes firmly established in wisdom. As the water of all rivers enter the ocean, though, full on all sides, remains undisturbed; likewise a self-controlled person remains undisturbed. His all enjoyments or conflicts merge themselves without causing disturbance and he attains peace. 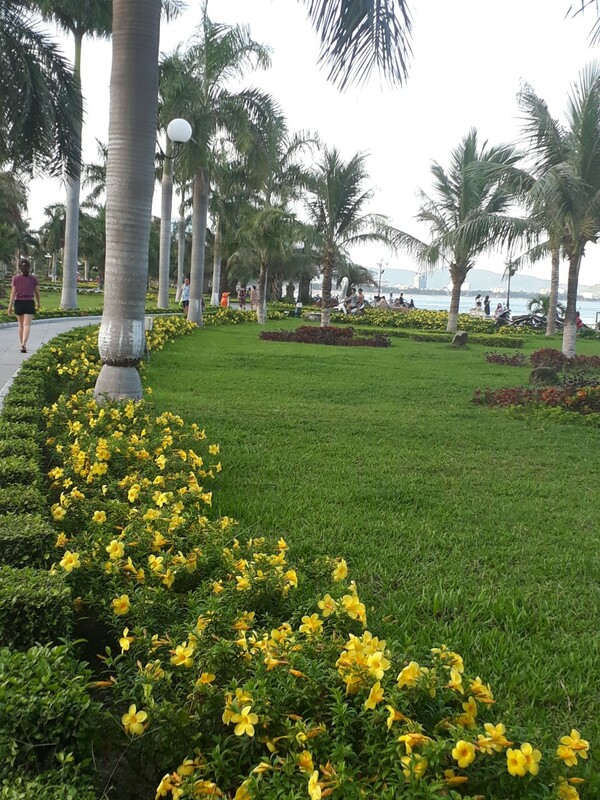 Same is the case of Tuy Hoa city, where Guru has been invited to relax and enjoy the peaceful beauty, which has recuperated after a long catastrophic war and attained peace to wealth. This is its literal meaning too. This stage of peace and mental tranquility can be achieved through meditation. Our Holy Guru asks the practitioner of Tantric Buddhism to get the state of Smadhi and transform their busy and disturbed mind into peaceful one. For that he has enumerated the methods to practice that will lead to serenity of mind. They are six in number. Since he too has been benefited through these, he has opened the gait of it for all his disciples even without his prior permission. I bow before his Kind Compassion. First of all I thanks my Vietnam sister who is staying in Hanoi. Violet Tran is always sending me links to read the valuable message of Guru Ji. Its my pleasure to go through all letters of Guru ji. We should follow the golden rules of Lord Buddha and spread among all for Global Peace. We are paying more attention for wealth, power, selfishness…..even some countries are in the race to overtake each other through weapons and nasty politics….. I have not much knowledge on Buddha Dharma, being a learner I have written my views….if any mistakes kindly Excuse me. With all my respect to Guru Ji. It is the missing thing for nations who have been confused of their status. Same thing to those individuals who have been usually not in line with the world, the real world. This is indeed a very dangerous situation wherein in could possibly lead into chaos, poverty, suffering, and disease that no doctors could ever give medication. Some people are scattering around, finding themselves to nowhere, searching for something that they are not sure of. Most of the time, they find things so cruel, so disgusting without any reason at all, and they always see things on the negative sides that it seems no positive thing exist on it. Why? What is the thing that keeps people away from peace? Mostly, they are the things that they’ve been wanting for so long but yet been out away from them. Material things, usually. Or, some might have been longing for attention but yet they always find their selves being isolated and discriminated. This happened within a family, a friend group relationships, in a communities, or in a society. And being the last option, is to get tired and pounder themselves with questions… Why? Who am I? Why is that so? What am I supposed to be? Then the next thing is that they emerge themselves into confusion. Until they get totally lost and away from peace. Other reasons, like being totally attached to their treasure, and richness, could also lead them to be away from peace. Not to mentioned, many people who are in the position of the government make it so. They are totally attached to their power. And what makes them out from peace? When they tend to forget to give consideration to such things that they are in need to. When they submerged themselves into their belief that the world is totally in their hands. These people are not in peace because they’ve been out from reality that the world isn’t made to stay forever for them. They forget the essence of real life. There are also some individuals who had been out from peace because of their ego. They are bothered every time because they see others downside aspect only. They always feel like they are the perfect one, like they are the most pure, that they don’t see mistake could also happened to themselves. They put their selves out of care for understanding others. They lack of compassion to the world. I myself always believed that kindness is the main key to open the key for peace, regardless of what status you are standing. Be kind to understand things, be kind to share your talents, skills and capability to those who are in need. Be kind to serve. Be kind to those unkind even if you see that they don’t exercise kindness. Kindness is the root of love that blossoms peace and calmness. It is indeed the main thing that the entire mankind world is critically in need. First of all thanks for this wonderfully written article. What we are is the result of what we have thought.Our mind or our thoughts are what determines who we are.So it is very important to know how to manifest it properly.It’s a dangerous master and a beautiful servant.Be a master of your mind. Let guru live long and all the sentinel beings have the peacefulness and calmness of Buddha. At first take my best regards and sincere Bondona. I just read the article letter no 219 to disciples. Here, I could realize that a peaceful mind is most needed for all. BBut how to get it? It’s very clear how to get it. May you have a healthy life. Đầu tiên, con xin được thỉnh an Thầy. Con đã đọc “thư gửi các trò 219: yên để mà giàu, an để mà tịnh” của Thầy rồi ạ. Qua đó, con hiểu rằng sự bình an trong tâm trí là điều quan trọng. Nhưng làm thế nào để có được sự bình an trong tâm? Sau khi đọc bài của Thầy con đã hiểu được cách để có tâm bình an. Và sự giàu có của người Phật tử chính là giác ngộ tối thượng. Bài viết của Thầy hay và lợi lạc. 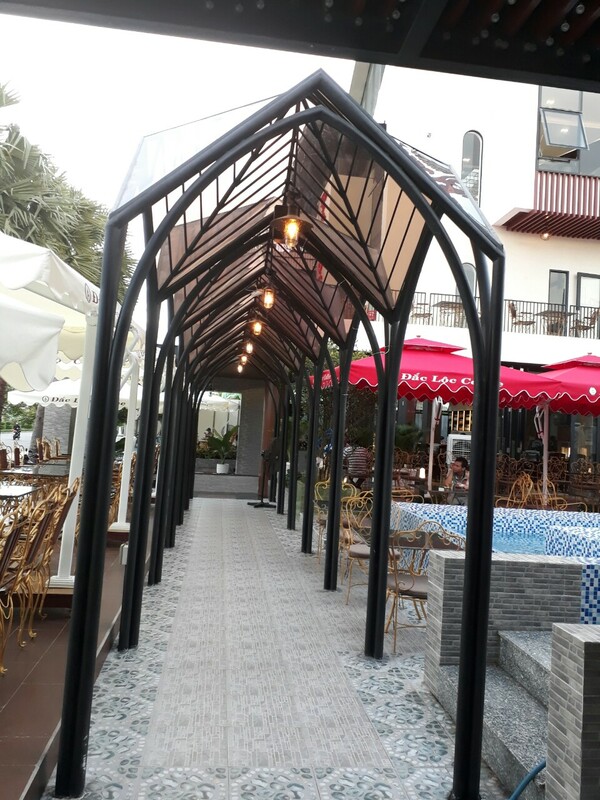 Con chân thành cảm tạ ơn Thầy. Trong ngày này, con muốn gửi lời cảm tạ ơn Thầy đã hướng dẫn, chỉ dạy con được bước đi trên hành trình giác ngộ. Đối với con mỗi phút giây trôi qua đều quý giá và cuộc sống của con bây giờ là những bài học trải nghiệm khó khăn để dần dần hài lòng với những gì mình có. Con mong chờ được đọc những bài viết mới của Thầy để hân thưởng những khoảnh khắc bình an, hoan hỷ, cho con sự kiên nhẫn trong cuộc sống bận rộn này. Con cảm tạ ơn Thầy vì những lời dạy của Thầy giúp con có được sự kiên nhẫn, mang đến cho con mình an và cho con hiểu rằng chúng con có thể đoạn trừ đau khổ, phiền não bởi vì khổ đau đó sẽ không kéo dài mãi mà sẽ kết thúc và những điều tốt đẹp, tươi sáng đang chờ chúng con ngay khi chúng con vượt qua được đoạn đường khó khăn này. Thầy đang chuẩn bị mọi điều tốt đẹp cho chúng con ở phía trước. Con cầu nguyện Thầy trụ thế lâu dài vì sự lợi lạc của tất cả chúng sanh. It is important to try our best to pacify our mind and to do that we follow Buddha Dharma. I am trying to conquer myself at the moment. Teaching myself meditation is a difficult task but a necessary one to learn to be in the present moment. I loved your article both times i read it but this time I’m more focused on the meditation and being present. Your stories and photos are amazing and I love getting a peak into your daily life. It helps me to know you and feel as if we are friends. Even though you are the guru and I just a disciple. OM mani Padme Hum. May you be well for the sake of all and may we continue on our path of liberation. Thank you again for your lessons and for taking me and others under your wing. I wish for one day to meet you though I know the flight for me to see you would be too much for my body. Some day some how we shall meet. Thank you again. Thank you very much for this meaningful aticle. Your given example conveys me the message that in the history of mankind & the history of religion founder’s, the Buddha was the only man who fought for the peace where the war begins between the two countries for the possession of Rohini river & protect the peace between the two countries. Ven. Guru, you asked then I asked myself, I still not know the value of present, dwell in the past & draming about the future, how can I get good results? Yes, there is nothing, everything arose in our mind so, we need to train our mind then we may get solution too. We always thinking by two ways, Good & bad. One way said, keep cool, there is nothing. But second one continuously flutters. The forth Noble Truth give us the way to end our suffering. We may able to end the sufferings with the help of Astang marga the Eight-Fold Path. There are three levels. Pragya: – A) SammaDitti (Right view) is the destruction of Avijja (Nescience). It is opposed to MicchaDitti. And Avijja means the failure to understand the noble truths, of the existence of suffering and the removal of suffering. B) Samma Sankalpo (Right Resolution) teaches that aims, aspirations and ambitions shall be noble and praise-worthy and not ignoble and unworthy. Sheela: – A) Samma Vacca (Right Speech): one should not indulge in pointless, foolish talk, but let his speech be sensible and to the purpose. B) SAMMA KAMANTO teaches us Right behaviour. It teaches that every action should be founded on respect for the feelings and rights of others. C) SAMMA AJIVO: – Bad way is those which cause injury to others. Good ways are those by which the individual earns his livelihood without causing injury or injustice to others. Samadhi: -A) SAMMA VYAYAMO (RIGHT ENDEAVOUR) is primary endeavour to remove Avijja: to reach the door that leads out of this painful prison house, to swing it open. B) SAMMA SATTI calls for mindfulness and thoughtfulness. It means constant wakefulness of the mind. Watch and ward by the mind over the evil passions is another name for Samma Sati. C) Samma Samadhi gives a habit to the mind to think of good and always to think of good. Samma Samadhi gives the mind the necessary motive power to do good. No doubt it leads to Dhyanic states which are self-induced, holding the five hindrances in suspense. I hope every one of us can use Dharma to purify and strengthen ourselves, use altruism and happiness to benefit, and dwell in Dharma and wisdom to transcend ourselves. While I was reading article, I found as I was walking in Phu Yen. Thanks for sharing with us the 6 spiritual methods and the path that leads to Nirvana, true peace, Happiness, and enlightenment. everyday we hear the news of terrorism, wars, domestic violence. people had destroyed the peace for the gain of wealth and power. we are looking for peace but peace starts from mind-purifying our mind and understanding our true nature. 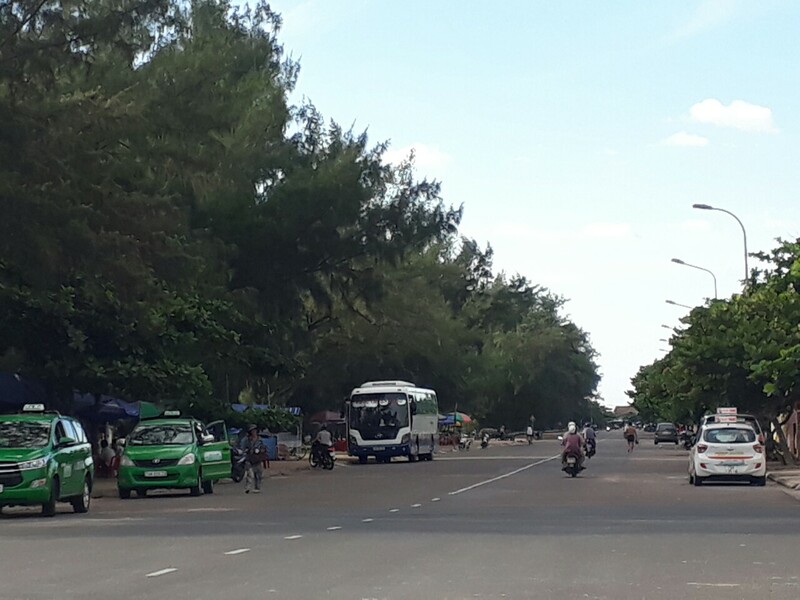 Khi con đọc bài viết này, con cảm nhận như con đang ở Phú Yên. Con cảm tạ ơn Thầy đã cho chúng con biết đến lục diệu pháp môn và con đường chánh pháp để đạt được niềm hạnh phúc chân thật, an tịnh và giác ngộ Niết Bàn. Hàng ngày chúng con nghe những tin tức về khủng bố, chiến tranh, nội chiến và bạo lực. Con người phá hủy hòa bình vì lợi ích và quyền lực cá nhân. Chúng con tìm kiếm hòa bình ở bên ngoài nhưng chúng con đâu biết rằng hòa bình có được khi tâm được bình an và khi chúng con hiểu được bản chất của mọi sự vật, hiện tượng. read many time. Thank you a lot. Con cảm tạ ơn Thầy đã viết bài và cho dịch các bài viết của Thầy sang tiếng Anh để các học trò khắp nơi trên thế giới được học từ Thầy. Sau khi đọc bài viết này của Thầy, con học được rằng con nên có thái độ cũng như cách hành xử đúng đắn, biết ứng dụng những lời dạy của đức Phật vào cuộc sống hàng ngày một cách linh hoạt, có chánh kiến để có được lợi lạc. Con luôn hào hứng trong việc đọc các bài viết của Thầy và con thường đọc đi đọc lại nhiều lần. Con chân thành cảm tạ ơn Thầy. Guru your wisdom is inspirational. There are many articles what you should read more, please! This text helped me see things in another way, and it’s now much clearer. Thank you very much for writing this! Thank you for your wisely teaching. I really enjoy it. Welcom to chanhtuduy.com. Please, read more! Of course, i will keep reading all days ! Thank you a lot ! Con cảm tạ ơn Thầy đã cho con được đọc những lời dạy trí tuệ của Thầy. Con rất hoan hỷ khi được đọc bài viết của Thầy. 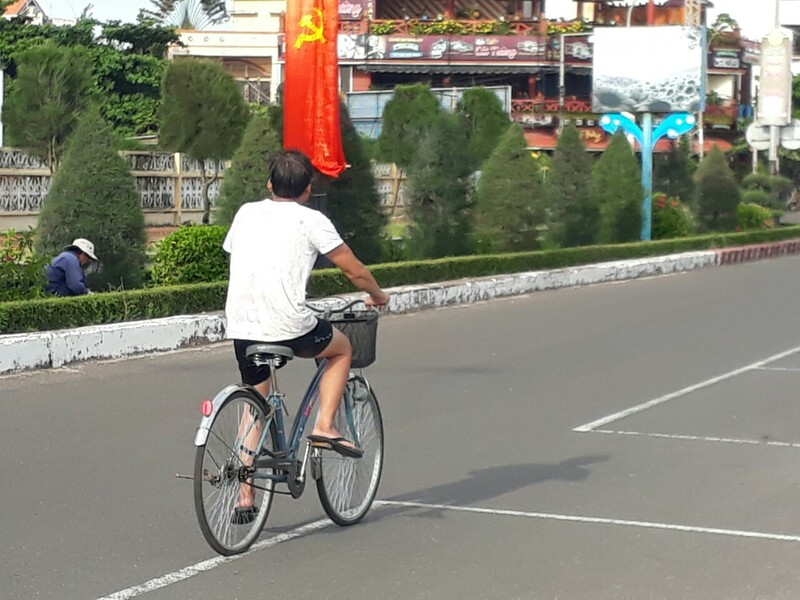 Kính bạch Thầy tâm linh tôn quý! Con cảm tạ ơn Thầy đã cho con được đọc bài viết này. Con đọc hàng ngày và cố gắng ứng dụng những điều con đọc trong giáo lý Phật đà vào cuộc sống của con. Nếu không có những lời dạy tuyệt vời như của Thầy thì con khó có thể hiểu và ứng dụng được. Con cảm tạ ơn Thầy vì tuệ quang của Thầy đã giúp con được khai sáng. Con – Tink Clarance Hamm. Thank you for sharing us the beautiful photos and teaching us precious letter. My mean problem is always worried about future. Just to know, i have spend to think about so much toughts. I can’t control myself. And i would like to try meditation, unfortunetaly,there isn’t any buddhist centre in my hometown. I am ready but we will wait the moment! Thank you very much. I hope so much to meet you. Thank you very much thinking about me. I want to meet you. But i have so much health issues now. I can not go to your place now. I pray, one day i can meet you. Thank you very much thinking about me. I want to meet you. Bit i have so much health issues now. I can not go to you place now. I pray, i can meet you. Thank you for this article and for the lovely photos. Your teachings and this website are a great benefit to my studies and experience of the Dharma. May all beings be happy. Peace and wealth. Con cảm tạ ơn Thầy đã cho con được đọc bài viết này cùng với những hình ảnh tuyệt đẹp. Những lời dạy của Thầy và các bài viết trên trang nhà chanhtuduy.com mang đến cho con những lợi lạc lớn lao trong việc học và trải nghiệm giáo pháp Phật đà. Cầu nguyện tất cả chúng sanh luôn hạnh phúc, bình an và thịnh vượng. Thank you for this article. This and so many others are helping me gain a clearer understanding. Thank you very much for the article. The pictures were beautiful as well. Thank you!!! Yes, I needed a reminder that the battle is within!!! I recently asked a dear friend about ahimsa in Buddhism. What you wrote here is an answare to my question. Pacify your mind, that is one of my goals in my every day life. I have not used those word but the meaning the same. Good. Please read more to enrich your knowledge on Buddhism and to know how to pacify your mind. Con vừa mới hỏi một người bạn của con về khái niệm không bạo lực, bình an trong đạo Phật. Sau khi con đọc bài viết này của Thầy, con đã tìm được câu trả lời cho những thắc mắc của con. Đạt được trạng thái tâm bình an là một trong những mục tiêu của con trong mọi hoạt động hàng ngày. Một lần nữa con chân thành cảm tạ ơn Thầy vì bài học quý báu này. As always your wisdom is great in every article, I’ve read. The knowledge that I attain is pure to my mind and soul. Thank you. Trí tuệ xuất thế gian của Thầy luôn được thể hiện ở các bài viết con được đọc trên trang nhà. Bài viết này cho con hiểu rằng việc hành pháp là để giúp tâm an tịnh. Thank you for this explanation and teaching on peace of mind, etc…. Very good! Con chân thành cảm tạ ơn Thầy về những luận giảng và chỉ dạy để giúp tâm an tịnh. Bài viết này hay và lợi lạc ạ.
thank you for ur article this is very nice. Con cảm tạ ơn Thầy đã cho con được đọc bài viết này. Bài viết hay và lợi lạc ạ.
I am thankful for this article. I bow my head on your lotus feet. Meditation is the way by which we fricuently connect with present moment. It makes us to touch the environment from real nature. I personally use to go offline and online simultaneously and get fail to live in present moment.we should have to follow midway to go through the path. I see many peoples who not use to give time to themselves and always get frustrated. There is very need for society to practice dhamma. Practicing dhamma is most important work ever in this whole world as it gives peace. I use to follow guru few months ago but it comes feeling that I know him from very long time. It is because I love peace in some early times.from early times when someone use to fight with me then after fight I did not use to abuse him and blamed to situations.blamming or abusing makes our inner body bad to live. It gave me satisfaction after hearing from thich hang ” the seed of goodness and badness is present in ourselves,the decision is ours to choose”. I am learning day by day new things just because guru.may guru live long for the sake of all sensient being. May all sensient being attain true nature. This article explains about how a person can have a peaceful mind.